Early openings at Disney's Animal Kingdom park for the general public from May 27 - July 4, 2017 in celebration of the opening of Pandora - The World of Avatar. 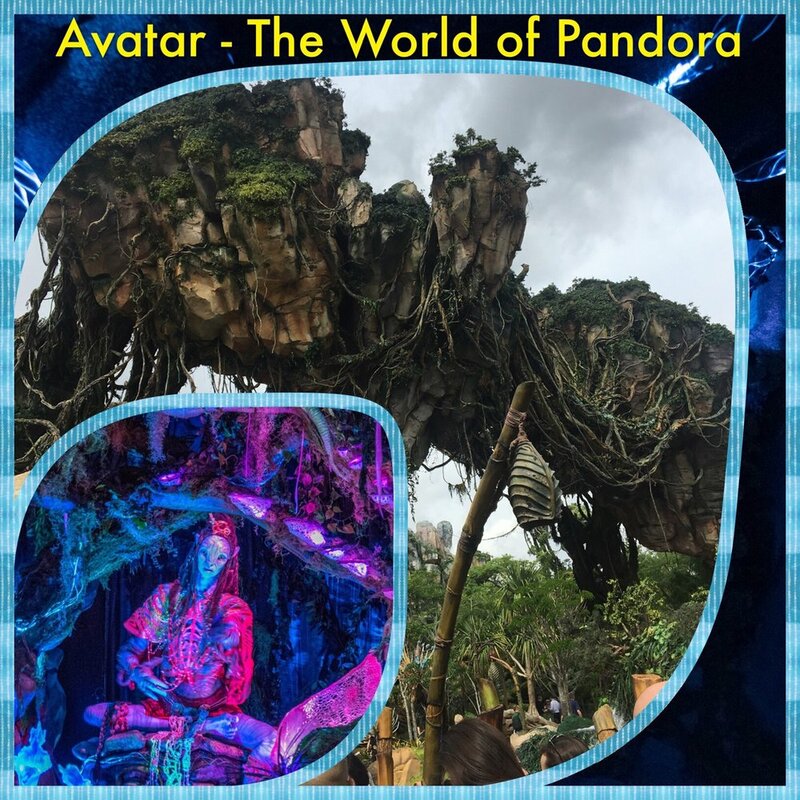 Pandora - The World of Avatar is a new land opening on May 27, 2017 in Disney's Animal Kingdom and it, along with new nighttime experiences, will really affect the crowds in this park. 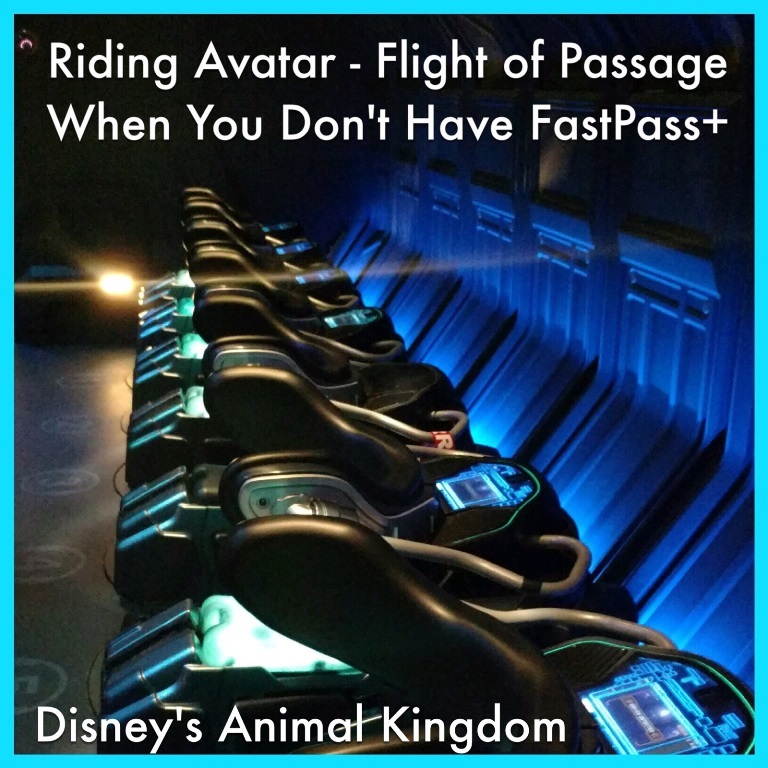 There are two rides but you can only choose one for your advance FastPass+ selections. 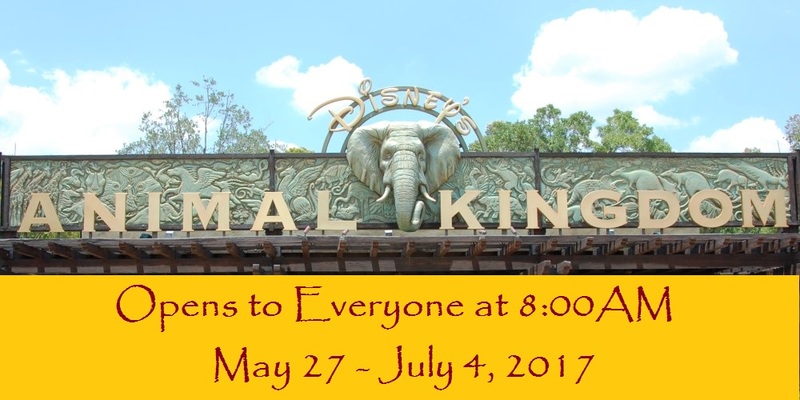 Animal Kingdom opens early 8AM for everyone on May 27 - July 4th. Be there before 7:15AM and be ready to walk right to your first Pandora ride to enjoy the lowest crowds of the day but avoid Mondays & Saturdays when the park opens at 7AM for guests of the official Disney hotels. Regular Extra Magic Hour - Monday & Saturday Mornings: Disney's Animal Kingdom will open an hour early to guests of the official Disney World resorts on select mornings. If you're not staying at a Disney hotel or you are staying at a Disney World hotel but don't want to get up that early, avoid the Animal Kingdom on these dates so that you don't arrive and get in line behind people who have already been there for an hour or more. Click here for more Pandora Tips & Information. Disney has announced that the much anticipated Pandora - The World of Avatar land at Disney's Animal Kingdom will open on May 27, 2017. 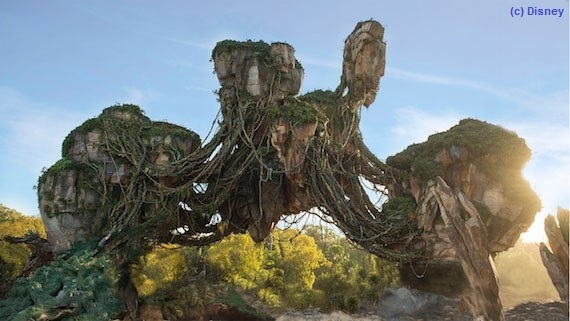 Here is Disney's Official Announcement: "Pandora - The World of Avatar, a new land in Disney's Animal Kingdom park, will transport guests to the visually stunning world of Pandora. Here, guests will wonder at floating mountains and bioluminescent plants, and can join the Na’vi on two excursions that take adventure to the next level. You will also be able to dine at Satu’li Canteen, grab a drink at Pongu Pongu or shop for Na’vi cultural items, toys, science kits, and more at Windtraders.